Halloween is the one time of year you can be anything you want to be. The posibilities are endless whether you're hitting up a big bash or going door to door for trick-or-treating. 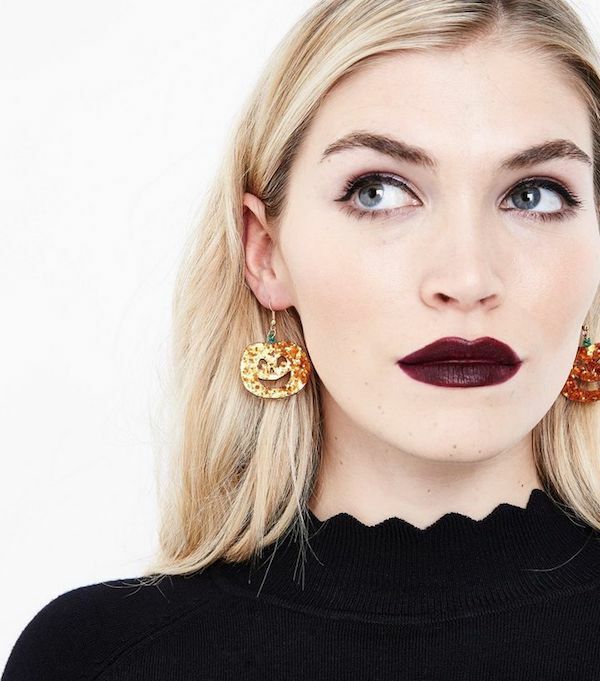 If you've got that crazy Halloween spirit that can't be contained, check out these festive everyday styles that you can add to your wardrobe this October. Throw on this adorable graphic tee with a faux leather skirt or faded jeans. It goes great as a layering piece under a chunky cardi, too. These spidery stockings will pair with almost anything and add a subtle pop of Halloween spirit. Dress in all black and add these earrings for some color. Paired with a bold berry lip and you'll be serving some witch #goals. Statement sleeves are one of fall's biggest trends. Stay stylish and festive with this amped-up LBD. Take your basic plain black tights up a notch with these pumpkin leggings. 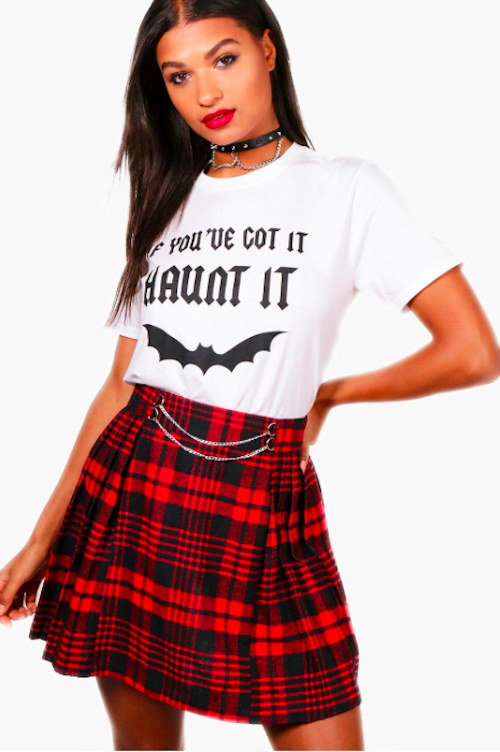 This "If you've got it haunt it" tee shirt is a funny play on words and the perf amount of festive flirtiness. 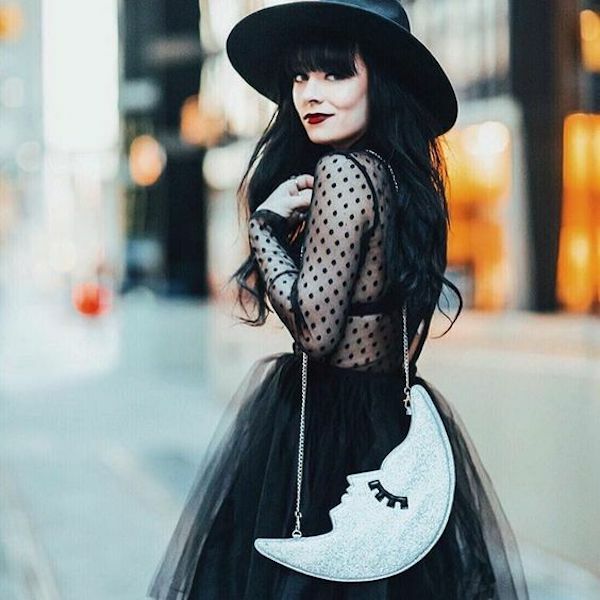 Are you a Halloween fashionista? Which look would you rock? Tell us in the comments below! 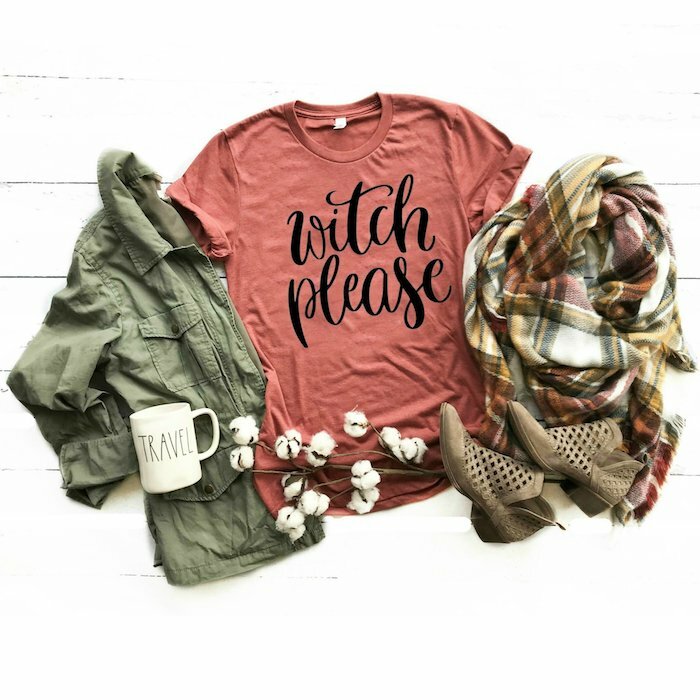 Photo credit: Pinterest, Boohoo, ModCloth, New Look.